Dual agencies are real estate agencies that have signed buyer agency agreement with a buyer who wishes to purchase a listing held by the agent’s firm. This is not often done intentionally, and it often happens that on contacting a real agency firm to view listings, you hire the agents to choose the right house for your needs from listings that also include the buyer agent’s firm. These agents are also known as facilitators who bring the two parties together but are not an advocate for either side. 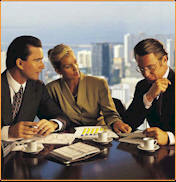 When dual agency is allowed, it must usually be agreed to in writing by all parties. A good dual agent must be loyal to the seller. He must work with the firm that holds the seller’s listings. He or she must have signed a contract in writing with the seller. You must be aware of seller’s agents also. These are agents who work for the firm that holds a seller’s listing. Also, an agent working for a firm belonging to an affiliated or local Board of Realtors is called a seller’s sub agent, and comes in the same category. These have their loyalty with the seller, and any agent can be safely assumed as a seller’s agent unless the buyer has signed a contract to change that status. Dual agents or agencies must also be loyal to the buyer and must have signed a contract with them also. They should provide entire information and show the good and not so good sides of the deal. Also they should render clear information on what can be expected from the agent if dual agency occurs. You must also know about buyers agents. These are agents who have signed a contract to represent a buyer in a home search and sales transaction. The agent’s loyalties are to the buyer. Also, they should not disclose confidential information about the buyer to the seller or seller’s agent. Some buyer’s agents work exclusively with buyers, taking no listings, although many do both. As real estate laws differ as per the state, the buyer or the seller must ask about the dual agency rules applicable in their particular state.